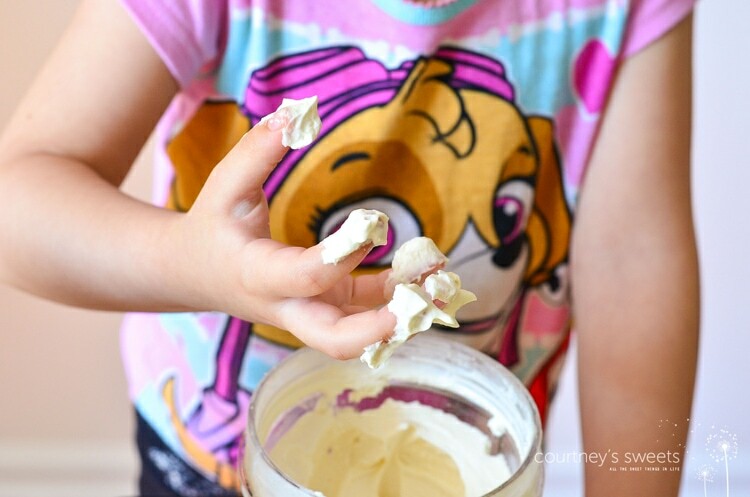 Homemade Whipped Cream with just 3 ingredients! Learn how to make homemade whipped cream at home, you can make flavored whipped cream and even stabilized whipped cream frosting. 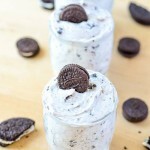 The beauty of making your own whipped cream recipe at home is you can control the ingredients while making the best whipped cream recipe, you can control the sweetness and even the flavoring of your homemade whipped cream recipe. 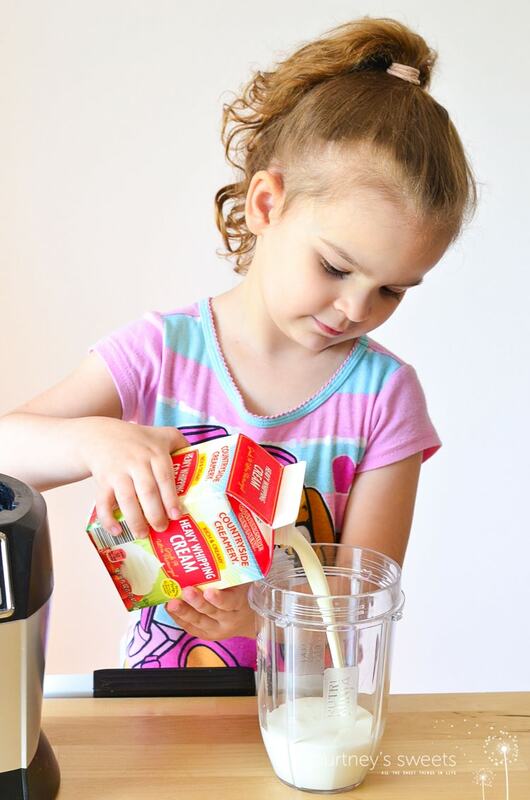 Making whipped cream at home is tons of fun and we love to get the kids involved. 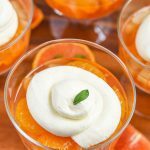 Whipped cream can easily be made a few different ways, like Vitamix whipped cream in your professional blender, the blender incorporates a lot of air and fast. If we’re making a large batch we’ll use a handheld mixer or a stand mixer to make whipped cream. Warning, if you whip your heavy cream too much it can turn into butter, which may not be a bad thing if you like homemade butter. Oops, you whipped too much and now your heavy cream looks curdled and there’s water too! When you overmix heavy cream you actually make butter, that’s how to make homemade butter at home. If you haven’t gone too far you can try to rescue the whipped cream by adding a little more heavy whipping cream to the bowl and mixing together, if not just whip it until the buttermilk (liquid) separates from the butterfat (solid), add some salt to the solid and you have fresh salted butter! 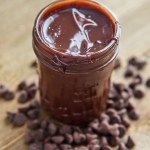 Chocolate Whipped Cream – fold in a little chocolate ganache, melted chocolate, chocolate syrup, or even cacao or cocoa powder with whipped cream. If you’re using the powder I suggest doing it before it’s whipped cream to really incorporate the powder. Adding the ganache makes a great chocolate whipped cream frosting! 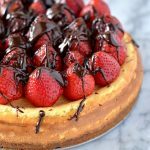 Strawberry Whipped Cream – we like making a strawberry sauce for our homemade desserts, we always reserve some of the liquid to fold into the whipped cream, you can also do this with other berries. 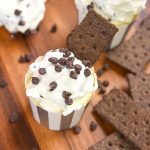 Coffee Whipped Cream – fresh brewed, super strong coffee can flavor the whipped cream or you can even use a coffee extract. Cinnamon Whipped Cream – in addition to powdered sugar a little cinnamon and if you like nutmeg would be perfect for fall treats. Peanut Butter Whipped Cream – add some natural peanut butter right into the whipped cream for delicious banana desserts or chocolate. 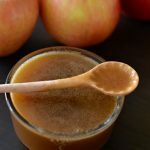 Maple Whipped Cream – use real maple syrup mixed right into the whipped cream for a natural sweetener, no need for the sugar and you could also try honey for a honey whipped cream, both naturally sweetened. Peppermint Whipped Cream – use a natural peppermint extra to brighten up the whipped cream, perfect for the winter and holiday season. 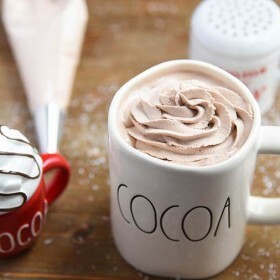 Hot Chocolate Whipped Cream – A packet of hot cocoa whipped with the heavy cream makes for a tasty hot cocoa whipped cream! Whipped cream begins to break down and melt after sitting out. If you’re going to be using the whipped cream to serve right away go ahead and make it as usual, but if you need it to be stable for more than a few hours we suggest using a stabilized whipped cream frosting and keeping it refrigerated. To make stabilized whipped cream frosting you’ll need 1 teaspoon unflavored gelatin + 1 1/2 tablespoons boiling water. Mix together and then whip the heavy whipping cream with the gelatin mixture. This is great for topping cakes and cupcakes that won’t be served right away. 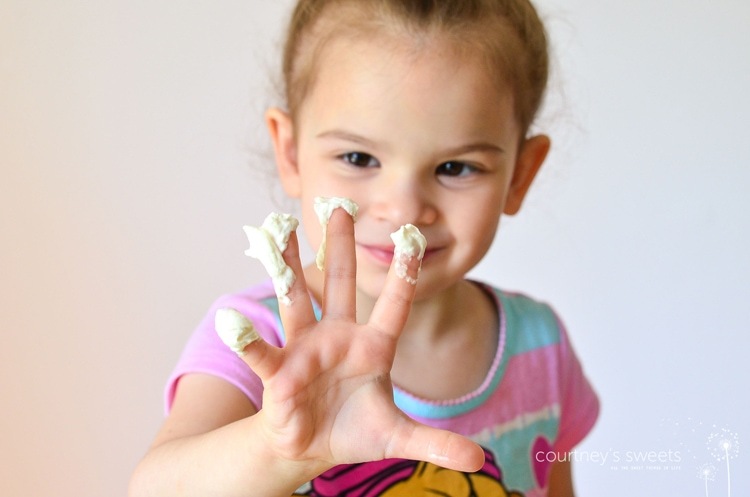 Mix the gelatin with whipping cream, sugar and desired to flavor for a delicious recipe for whipped cream frosting! You don’t need a fancy whipped cream dispenser to pipe whipped cream. 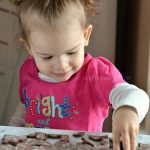 You can easily use a ziploc bag or even a piping bag with tips if you have them. If you’re icing a cake an offset spatula is a great tool to have. Is heavy cream the same as heavy whipping cream? No, they’re actually different, but not much. Heavy cream actually contains more fat than regular whipping cream (36% vs 30%). The higher fat content allows the heavy cream makes for a thicker and sturdier whipped cream. Coconut Whipped Cream is a great vegan whipped cream and it’s also a dairy free whipped cream. Start by placing a can of coconut milk into the refrigerator overnight. By refrigerating overnight you allow the coconut milk to separate and the cream will float to the top and become hard. Scoop out the cream from the can of coconut milk, not the coconut water, you can use the coconut water for smoothies instead of discarding. Mix the coconut cream for about 4-7 minutes in a stand mixer with the whisk attachment. Once the coconut cream starts to form peaks you can add the flavoring and sweetener. You can use coconut milk whipped cream just like you would regular whipped cream, but it is not as stable. Whipped cream is super easy to make and you’ll love the flavor of our homemade whipped cream recipe over store-bought! 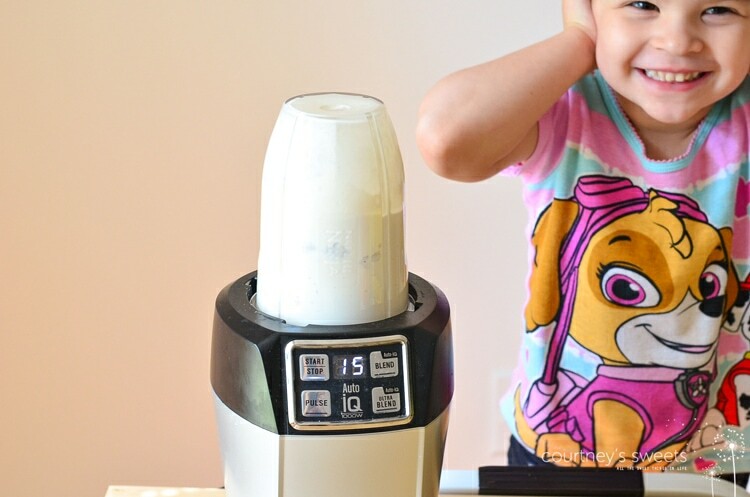 For Mini Chef Mondays we wanted to showcase how easy it is to make whipped cream. You don’t need to whisk the entire time and you could easily use your blender, personal blender or even a mixer. 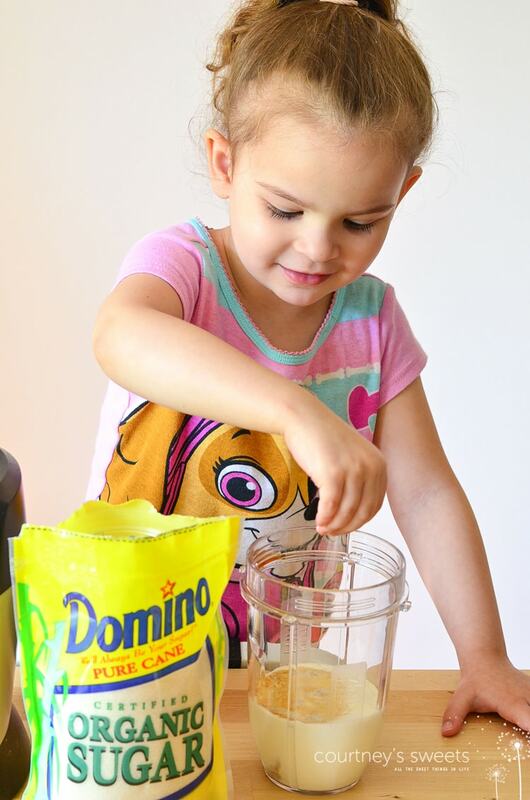 I typically use a mixer, but since we were doing a small batch we used our ninja iq to make it an easy whipped cream recipe for kids! 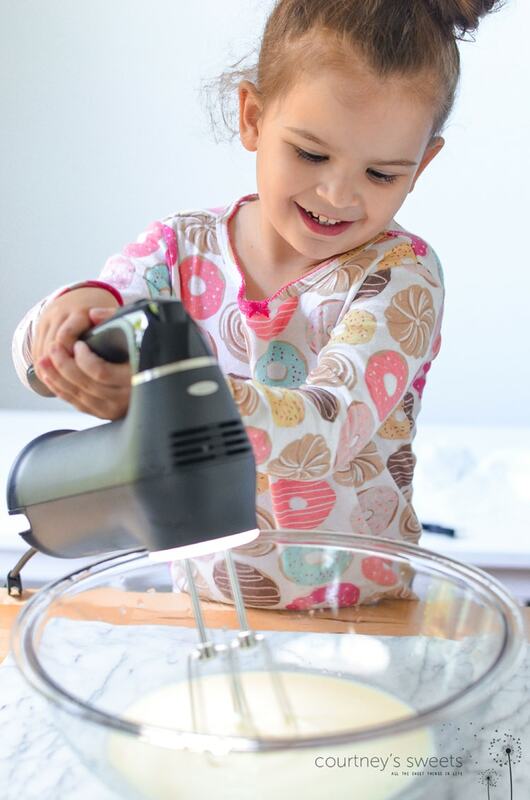 We could definitely show you how to whip cream by hand, but using a gadget is so much easier and great for little ones with adult supervision. Can’t use all the whip cream? You can freeze the whip cream! 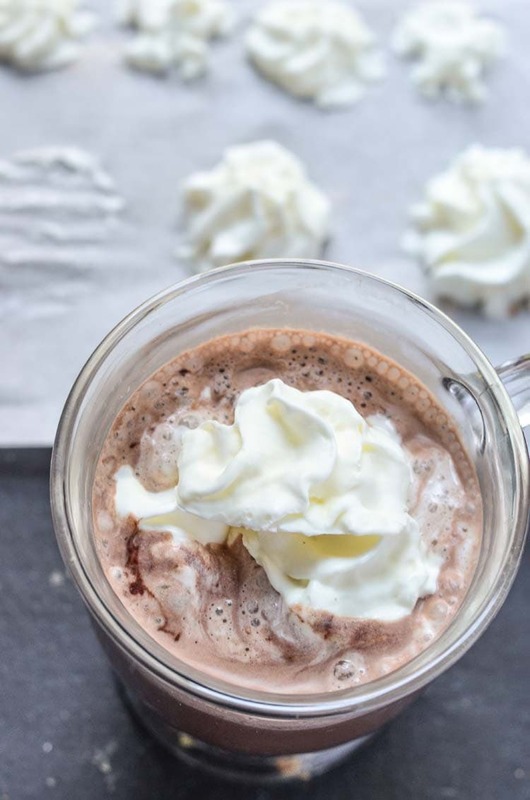 Frozen whipped cream is great for hot cocoa or even your morning coffee. 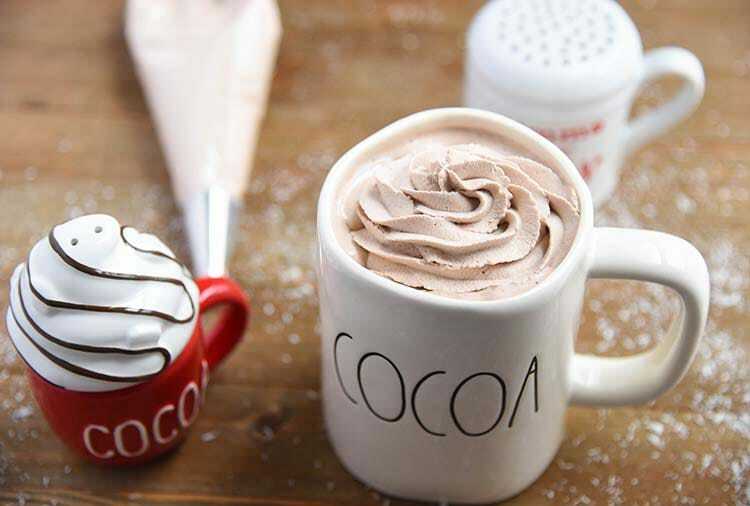 We love the way it adds creaminess as it melts into warm hot chocolate. Blend or whish ingredients until they form stiff peaks. Serve and use as desired. I am hosting Mini Chef Mondays along with 8 fabulous bloggers! Yes! I love vanilla in whipped cream. You just can’t buy the stuff in the store anymore once you’ve made your own.